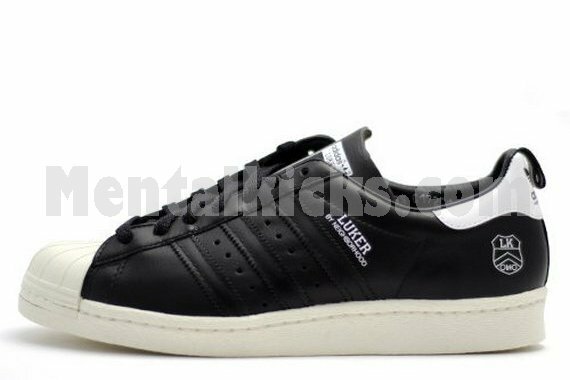 Kazuki has here let the masterminds at NEIGHBORHOOD and their sublabel LUKER do a little re-work on the classic SUPERSTAR 80s. The result is a very subtle play in black and white with the classic yellowed sole and toe gum parts. Inner is leather lined. Outer upper has a very smooth premium leather. Very limited release from the "ObyO" collection. Comes with original box, extra laces, paper tags.